From February 18th through February 21st, an Open-Ended Inter-Governmental Working Group (OEWG) met to discuss the Draft United Nations Declaration on the Right to Peace. Delegations from nearly 80 States, and nearly 30 Civil Society Organizations, along with several intergovernmental organizations participated in the meeting. IIMA participated in all sessions, and had the opportunity to give an Oral Statement during the session of the meeting focused on Article 4 on Peace Education. Maria D’Onofrio spoke on behalf of the Institute, underlining the importance of peace education for child development and for protection of human rights as a whole. Moreover, she advocated that, instead of developing new ideas and definitions, the OEWG should define peace education as human rights education with a particular focus on conflict resolution. Ambassador Chistian Guillermet-Fernandez of Costa Rica presided over the meetings as Chairperson-Rapporteur. He provided important leadership in a meeting marked by a wide range of opinions on the draft declaration. The draft declaration’s content, with its multifaceted approach to peace, incorporated significant and, often, controversial international issues such as human security, disarmament, conscientious objection, peacekeeping, development, the environment and refugees. 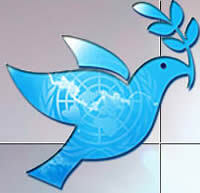 Although the meeting highlighted many differences between States, it provided an opportunity for all participating delegations to share their various views on the relationship between human rights and peace, and to restate their commitments for both peace and human rights within their countries and internationally. Among the many articles in the draft, the article on peace education was perhaps the most widely supported by delegations and civil society. It is planned that the Chairperson-Rapporteur, with the approval of the Human Rights Council, will engage in informal consultations in coming months, and that the OEWG will meet again before the 25th session of the Council next year. IIMA plans to monitor the developments and participate, as needed to reinforce the close ties between the right to peace and the right to education.